The I Do It For Foundation is a startup non-profit that lets people raise money for specific people in need. The foundation provides free digital resources for crowdfunding, from a customizable web page to payment processing. To make this idea come to life, the foundation needed a robust, web app that combined custom software development with e-commerce in a seamless user experience. Worthwhile took on the I Do It For project as its annual Web for Good project. To begin with, I Do It For needed help taking an idea and understanding how to create a user experience to deliver it joyfully, both inside the web app and outside of it. Worthwhile helped the foundation establish brand distinctions and a visual style to match it, including a memorable logo. Then we created a website that made the process clear and easy for users to follow. This effective user experience was recognized with a Davey Award in 2014. 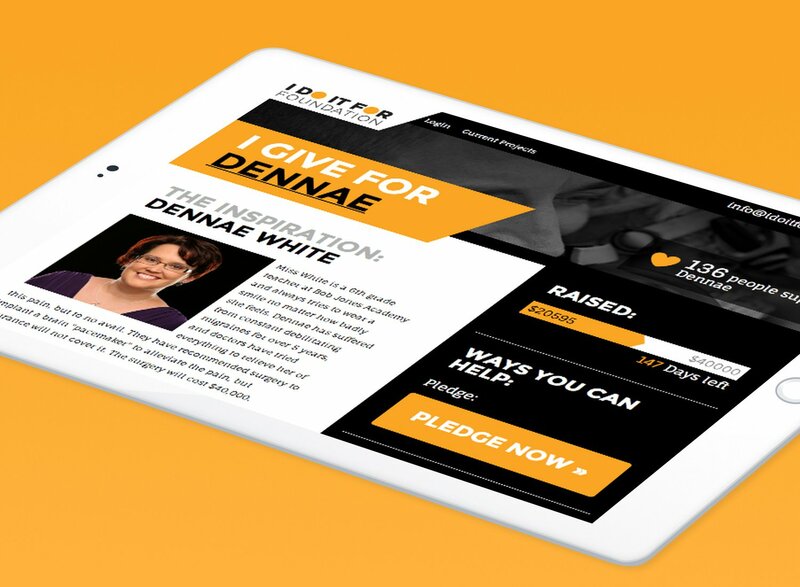 I Do It For is built on a powerful platform that allows Doers and Donors to contribute easily. The app allows for custom messages and projects, making it easy for people to raise money for others in need. The system also integrates seamlessly with Stripe for e-commerce functionality and payment processing. Built with Django, the system is designed to grow as more people start I Do It For campaigns, and as the foundation grows we add automation that takes away manpower needs and lets everyone focus on helping others.